Miami Modest is very excited to announce The First International “MODEST” FASHION WEEK in MIAMI, Florida during Miami Fashion Week on July 13-15, 2019. 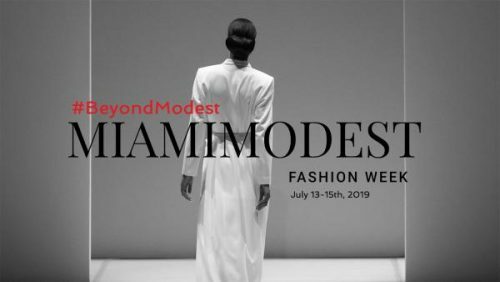 MIAMI Modest is the FIRST international FASHION WEEK that is dedicated towards “MODEST Fashion” during Miami Fashion Week in the beautiful sunshine state of Florida in the USA on July 13-15, 2019. MIAMIModest Fashion Week is about diversity, creativity, education and the future, It’s Beyond Modest. Malaysia’s world renowned shoe couturier, Datuk Professor (Dr) Jimmy Choo will be featured at MIAMI MODEST Fashion Week as Honorary VIP guest to launch the DEBUT of Malaysia Fashion Week-USA. A few replica shoes made by DR. Jimmy Choo exclusively for the late Princess Diana will be exhibited as part of Fashion Art Exhibition for the Inaugural of MIAMI MODEST Fashion Week. The main celebration will be on Sunday to celebrate “The Charity Event & Malaysian Gala Night” at the beautiful Intercontinental hotel. The night showcases the richness of Malaysian culture and lifestyle through music, entertainment, cuisine and Fashion Show by some of the most iconic Malaysia fashion designers that dressed for the Monarchy to the prominent South East Asia Public figures to Crazy Rich Asians. The night will end on a high note through “Jimmy Choo Award” to support an awareness towards Global Warming. A Malaysian based company established in 2007. Stylo International Sdn Bhd’s business includes fashion and lifestyle event management, media communication, setting up and organizing events, supplying and installing equipment and searching for locations and talents for the related events.